We all know depression is a serious thing! 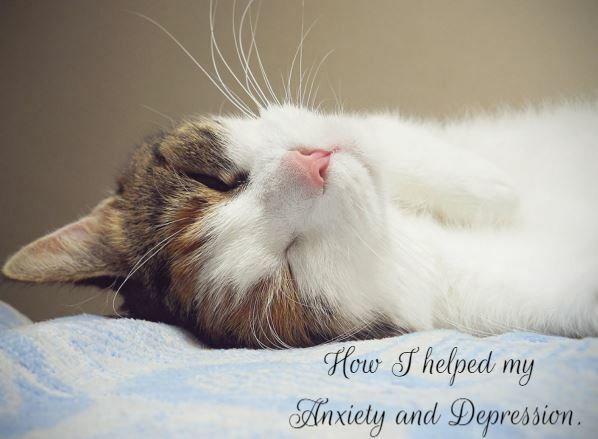 Today, we’d like to share with you one of our stories about how one person helped their anxiety & depression. There’s hope for you too. Hi All, Its Crystal again! A little backstory for you. Being born with Cerebral Palsey, the fight to keep going was a challenge met daily! Nothing was going to stop me! I did what I wanted, including being a cheerleader, on the basketball team (I was scorekeeper but hey), and I even went to Canada on a class trip. Granted all that was years ago, before I got married and had a son. As I got older I developed phobias and anxieties. I have pretty bad car anxiety. I went on a cruise and when I got back, one day I was home alone and just watching TV. But I felt very anxious, for no real reason. That’s when I decided to talk to my Dr. She put me on Zoloft. That DID NOT work for me. It caused my muscles to tighten so much it caused real pain. So we changed it up. Finally found one that worked. I also struggle from depression. I have since I was a teenager. so she was wanting to put me on one pill that could help with both things. My husband felt that I was zombied when on the medication. And even though I didn’t feel that way. He is the one who sees me from the outside each day. So I trust him to know. So I went off the pills. The depression was ok, not more than I could handle but the anxiety came back. While all this was going on it was storm season and my body was in a lot of pain. I also suffer from arthritis. So I began to research CBD. the benefits were quite surprising. I had a few things on the list. If you’d like to know how else it has helped, Just sound off below. So many struggle with depression and anxiety. Perhaps what helped me can help you too. Within a week this stuff worked! I was awake more, less moody in the mornings (even before my coffee)! It feels great and gives me the feeling of overall wellness. It was hard to explain. But I felt so much better. I wanted to help others so I went back to my research this time looking for the best company to work with. That’s when I found Hempworx. I am happy that I have the best oil at my disposal now to help others feel their best! If you are interested in checking them out also you can follow the link HERE. I am also happy to answer questions. I wish you a UNdepressed and NONanxiety day! You can check out these books by Crystal! They are fantastic!